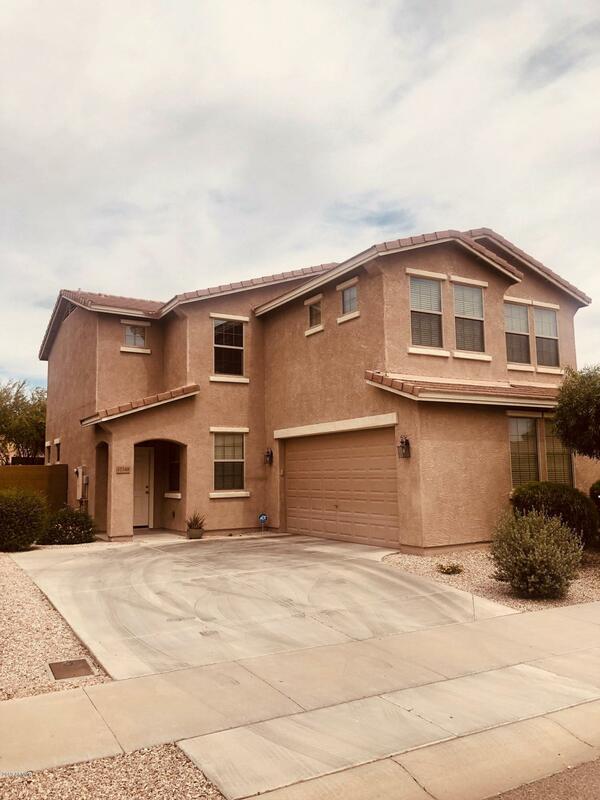 All CANYON TRAILS UNIT 4 WEST homes currently listed for sale in Goodyear as of 04/26/2019 are shown below. You can change the search criteria at any time by pressing the 'Change Search' button below. "The Deacon plan includes an attached RV garage to put all your toys in. 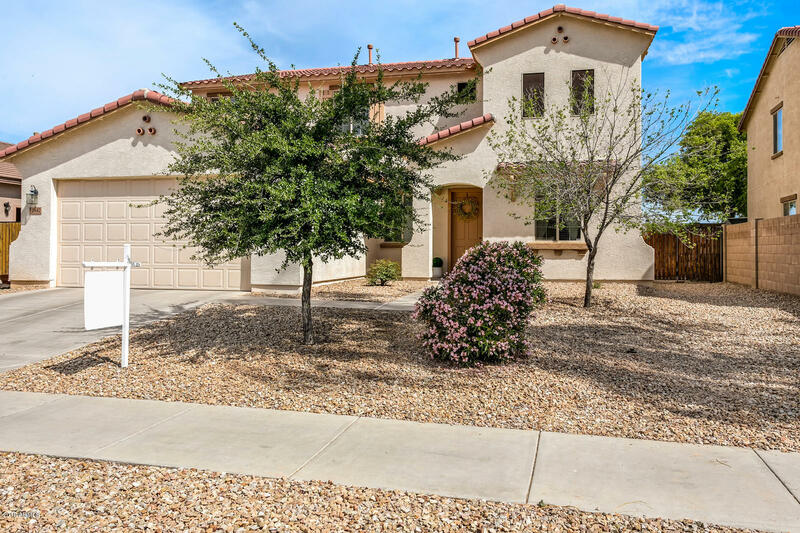 Inside the tile floor leads you onto a well-appointed kitchen with a large walk in pantry, gray cabinets and granite countertops that are flanked by a great room and dining room with covered patio access. You also have a formal dinning room/ office area or flex space in the middle of the home. the patio opens up tp a blank canvas backyard for you to create . 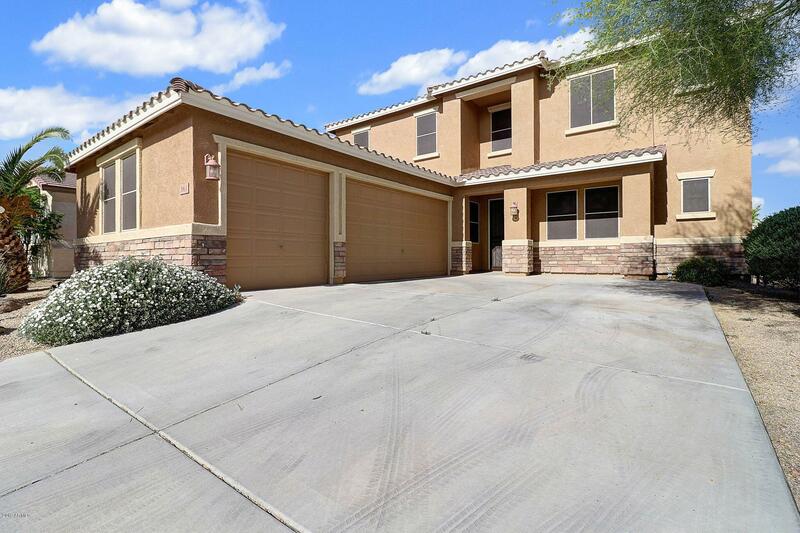 Residents enjoybreathtaking neighborhood views, on-site parks, mult"
"Beautiful home in a great location with quick access to both the 303 and I-10. The spacious kitchen features maple cabinets with crown molding, granite countertops with bullnose edges and 4'' backsplash. The pool is ready to provide a respite from the the long hot summer. The flooring is a nice mix of tile, wood and carpet.This home is ready for you to move in and enjoy it for years to come." "BANK APPROVED LIST PRICE - QUICK CLOSE!!! Investor Alert - Opportunity Knocks! This cosmetic fixer upper needs some TLC to bring back the shine it once had in this 2006 built home featuring just under 3,500 square feet of living space. Home features massive backyard with in-ground pool, covered patio and large yard for entertaining. Upstairs boast 4 large bedrooms including master suite and large rec-room area. Downstairs features 5th bedroom, bathroom, dining room area, living room, large "
"Absolutely move-in ready Centex home in desirable Canyon Trails Neighborhood. Priced to sell! Similar sized Richmond American well in to the $350K range! Pristine condition inside and out with neutral tile in all of the right places, 2 tone paint near throughout. Gorgeously landscaped with extended patio and lush green grass. Extended 3 Car Tandem Garage offers storage for toys and cars! 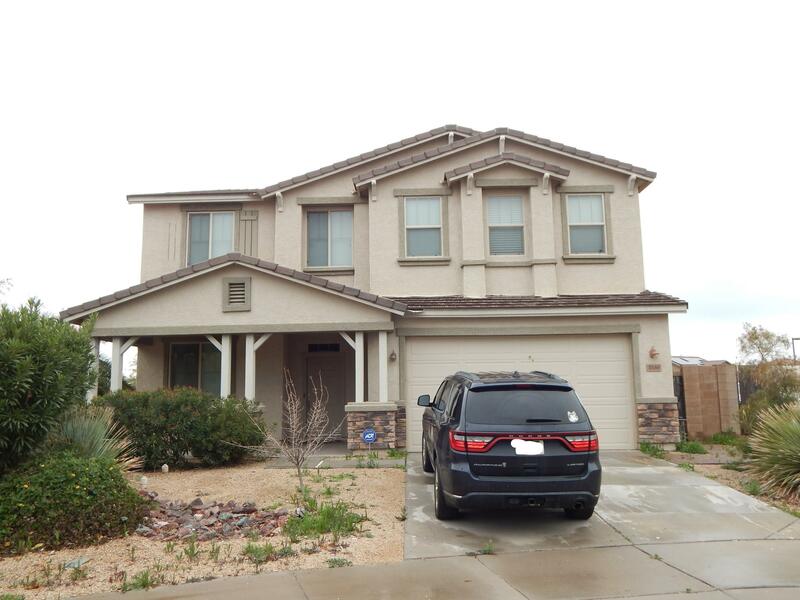 Lovely layout features an open kitchen/family room, formal living and dining (or flex room) downstairs with "
"Well maintained 2010, plenty space for everyone in the family, 2 story 4 bedrooms and 2.5 bath home that also counts with an office space and an ample living room in the 2nd floor. 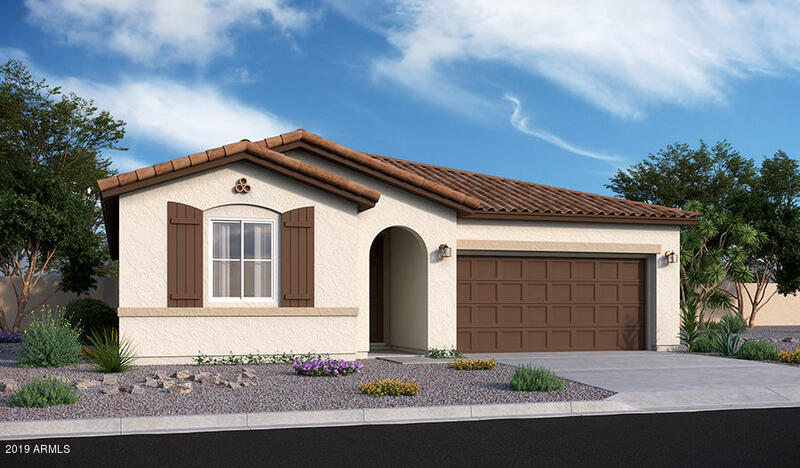 Close to shopping center, restaurants and easy access to the I-10 Freeway.Enjoy the endless amenities at Canyon Trails with several parks and basket ball and volley ball courts. Also the community recreation center that offer pool and gym." "YOU'VE FOUND YOUR NEW HOME! This Move-In ready popular floor plan, has it all! 5 beds, 3 full baths with spacious loft, including one bedroom and full bath downstairs, perfect for multigenerational families! Gorgeous kitchen with upgraded maple walnut stained staggered cabinets, stainless appliances, corian counters, sit at bar, & walk in pantry. Large neutral tile in kitchen, family, baths & living rooms. 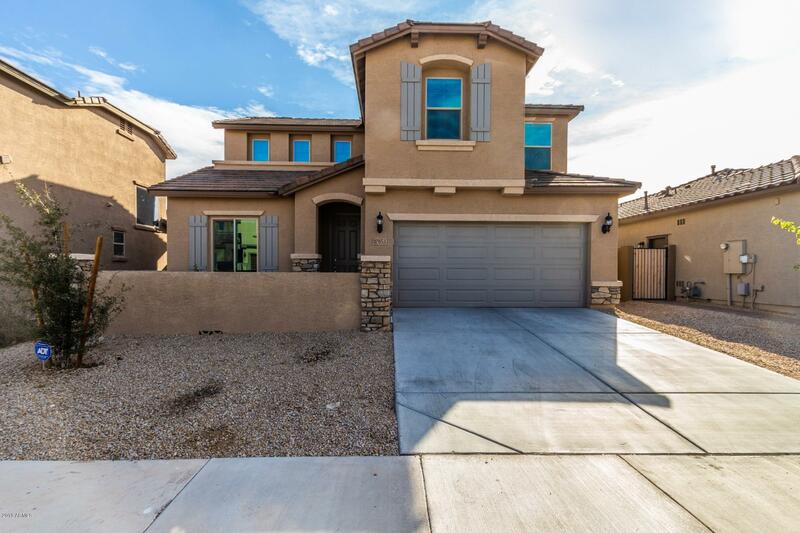 Upstairs boasts of 4 more bedrooms, including a beautiful large master retreat and upgr"
"See your new home today! Nestled in the Canyon Trails Community. 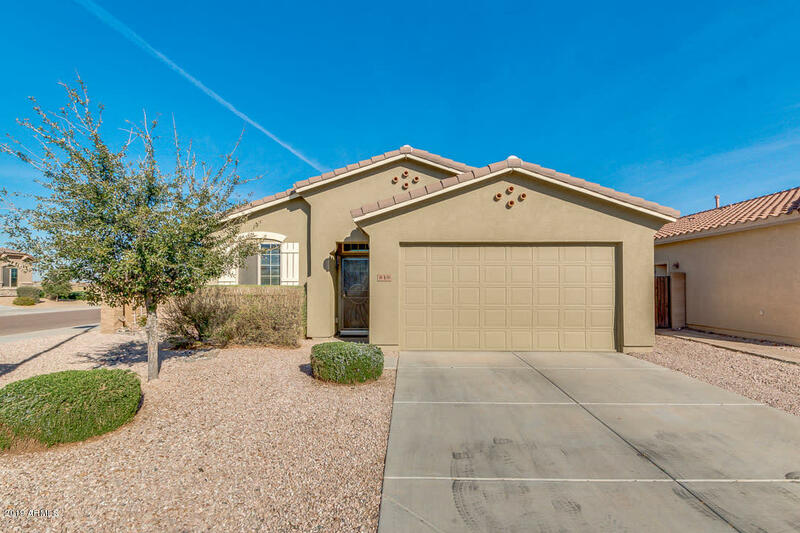 Within minutes of major freeways, Goodyear Ballpark, and Phoenix Goodyear Airport. Bright and open floorplan, custom color scheme, beautiful tile flooring, and built in shelving components in the living. Rich cherry cabinetry, granite countertops, stainless steel appliances, stylish backsplash and a kitchen island that can be used as a breakfast bar too. Upstairs you will find a spacious loft that could be used as a home office, ho"
"The latest addition to the popular Canyon Trails master plan in Goodyear, Canyon Trails North features five inspired floor plans that aren't offered at other nearby communities. You will appreciate easy access to amenities, including community parks, trails, a playground and sports courts, as well as close proximity to popular schools, shopping, dining and recreation. 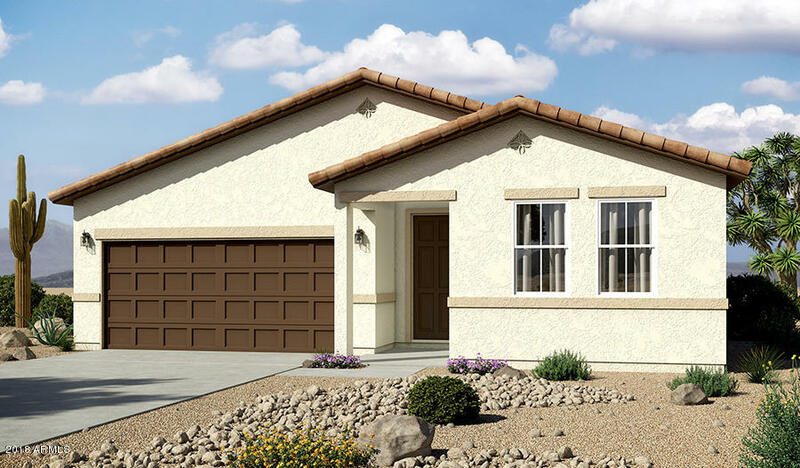 Floor plan boasts an inviting great room, an elegant dining room and a well-appointed kitchen, an expansive walk-in pantry and a"
"A Large house sitting on Cul-Del-sac with ample parking space. Large master bedroom with separate shower and bathtub, separate family room and living room, upgraded kitchen with granite countertop and stainless steel appliance. Backyard is paved with bricks. Listing agent is also a principal of owner's entity." "Charming home in Canyon Trails! This home boasts a neutral palette, beautiful kitchen and stunning tile floors. The kitchen is complete with granite countertops, stainless steel appliances and the ever-popular stark white cabinetry. A generously sized island/bar add to the dining options and create great entertaining possibilities! The master suite is spacious and hosts an ensuite of double sinks, a shower/bath combo and a walk-in closet. 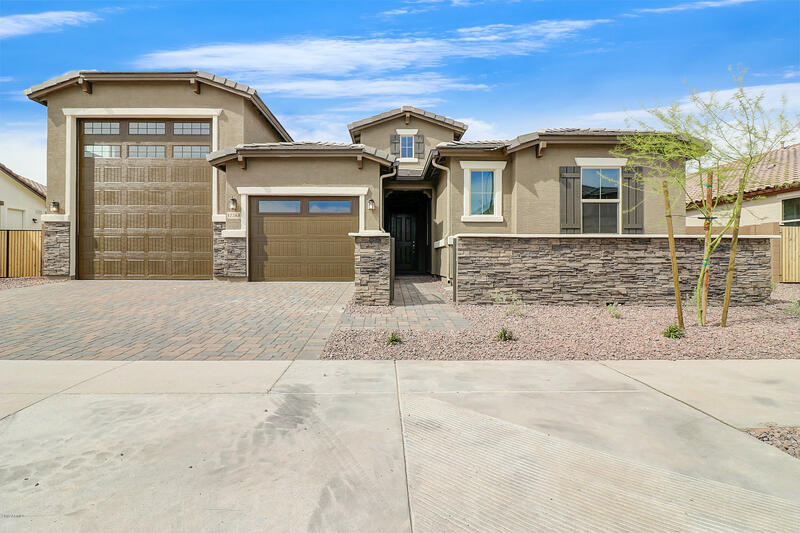 Step out onto this covered patio and take in the bac"
"Part of the popular Canyon Trails masterplan in Goodyear, Seasons at Canyon Trails features versatile ranch and two-story floor plans with hundreds of exciting personalization options. You will appreciate abundant community amenities, including parks, trails, sports courts and playground, as well as easy access to popular schools, shopping, dining and entertainment. Plus, close proximity to I-10, Loop 303 and Loop 101 make this exceptional new community a wonderful choice for commuters! Enjoy Si"
"This Short Sale has been approved at $223,000 by Wellsfargo. This will be a perfect Rental or owner occupied. It does NOT have enough margin for a fix and flop. This property was previously appraised at $250,000 by a buyer that walked before we got bank final approval. 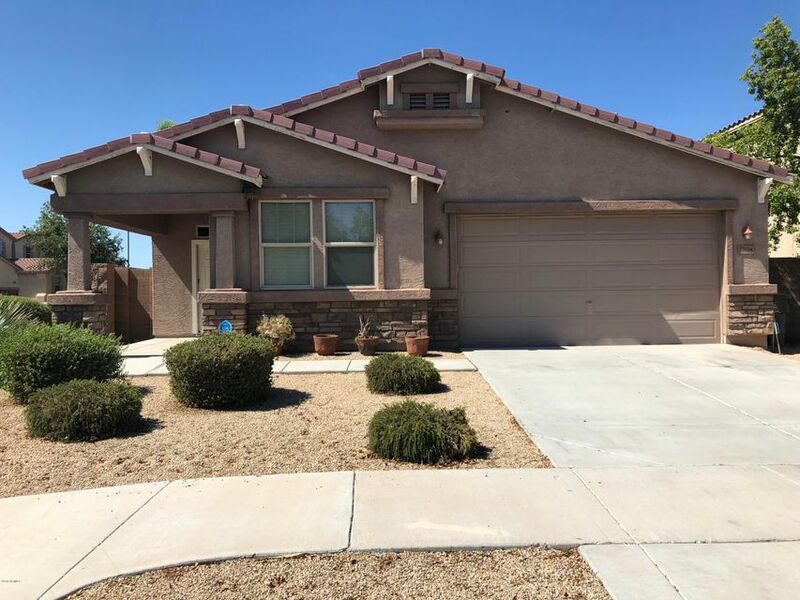 This is a 4 bedroom 2 bath single story home which is located minutes from the I10 and the 303.. 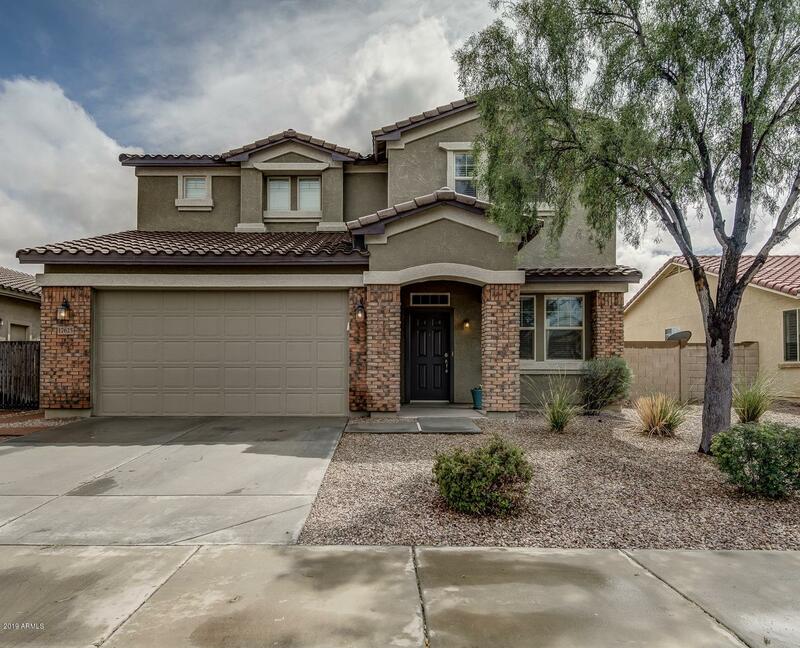 This home offers a very open floor plan with an updated kitchen featuring granite countertops and cherry cabinets. 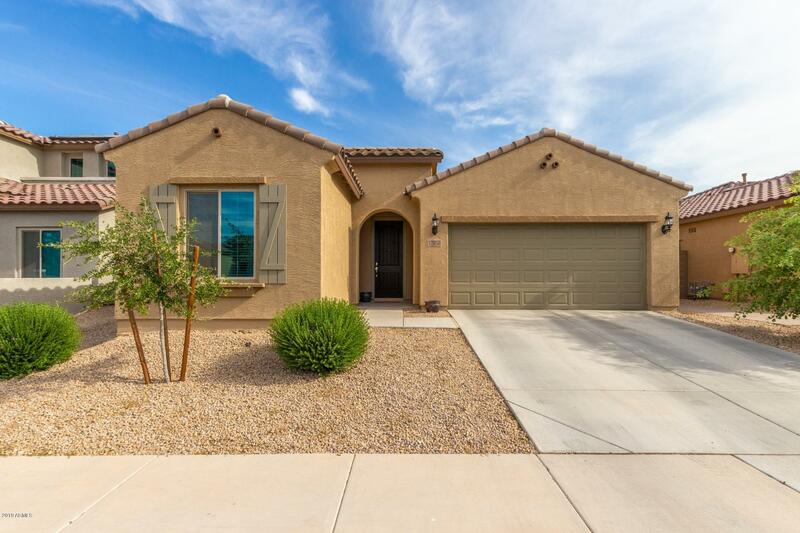 Master bathro"
"A cute 3 bedroom, 2 bathroom house in Canyon Trails. Open Living. Generous Sized Bedrooms. Laundry Room with storage. 18'' Tile and NEW Carpet. Upgraded Lights and Fans. Newly painted inside and outside with epoxy painted garage floor. A 6,000 sq ft CORNER Lot. Backyard Landscaping with extended Patio. View Fence OVERLOOKS the Community Greenbelt and close to playground/park. 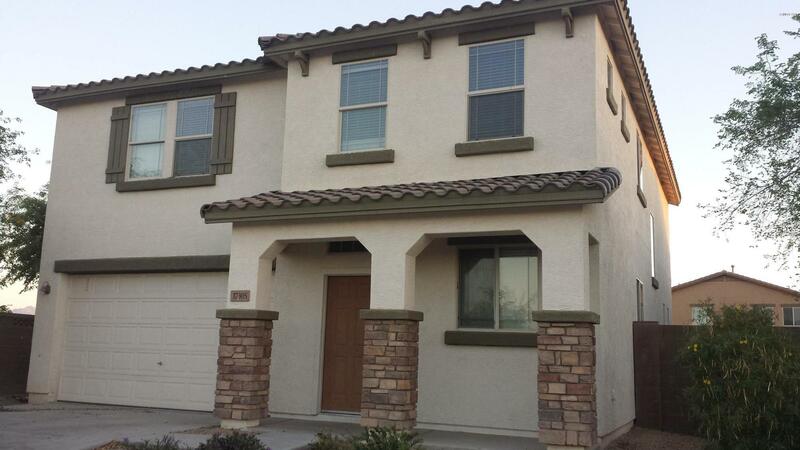 HOA $80 month includes community pool and fitness center. BUY now as values increase with NEW Homes building in the area."